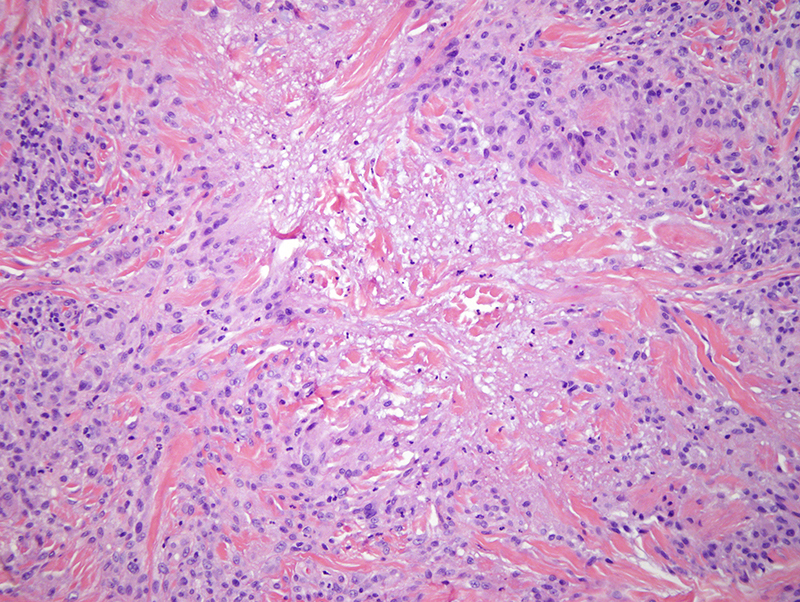 The findings are very typical for granuloma annulare. 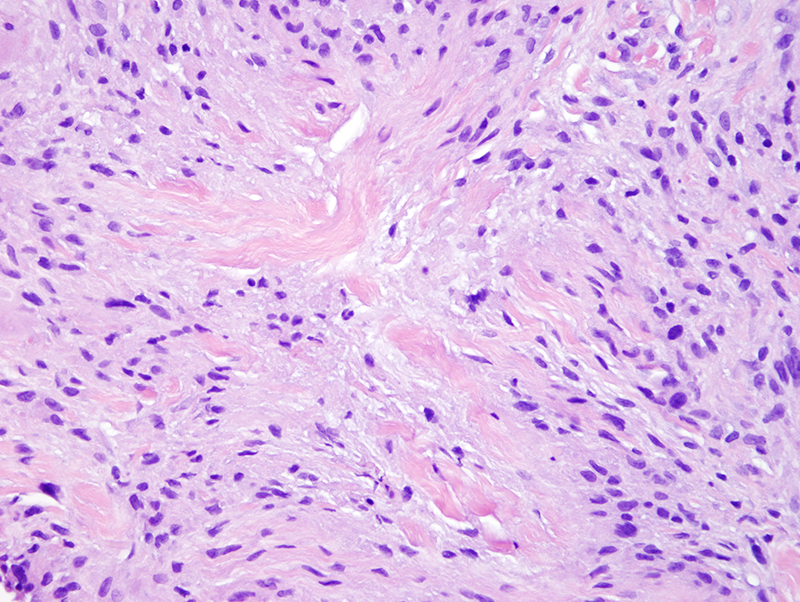 Given the localization on the elbow and the presence of neutrophils within the necrobiotic areas this type of combined clinical presentation and histomorphologic finding of neutrophilia within the zones of necrobiosis is a predictor of granuloma annulare in the setting of certain systemic diseases including rheumatoid arthritis, lupus erythematosus, and occult paraproteinemia. 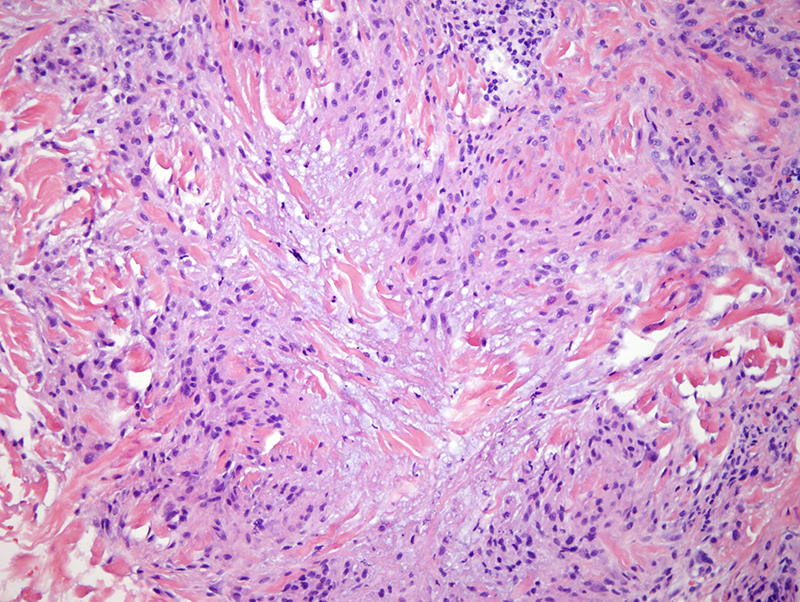 In fact, the patient did have a history of multiple myeloma. 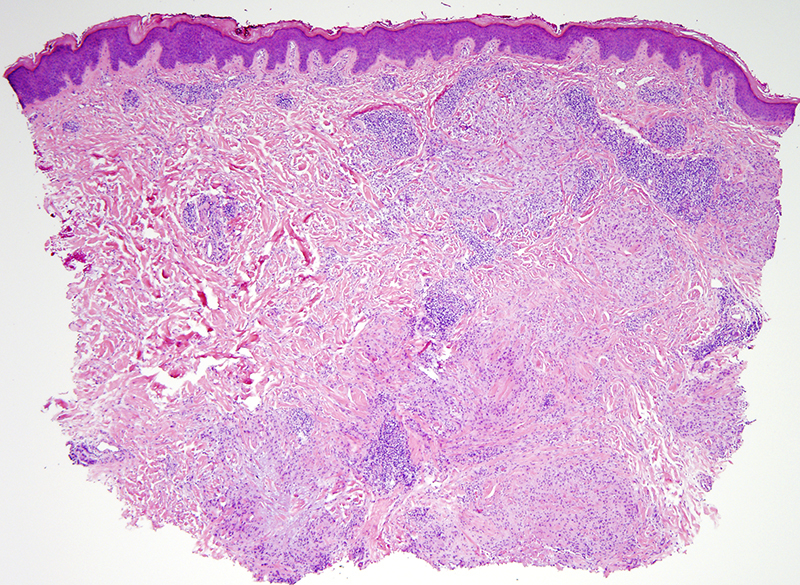 Hence, the granuloma annulare reaction pattern may be a type of paraneoplastic process in the setting of this patient's know plasma cell dyscrasia.